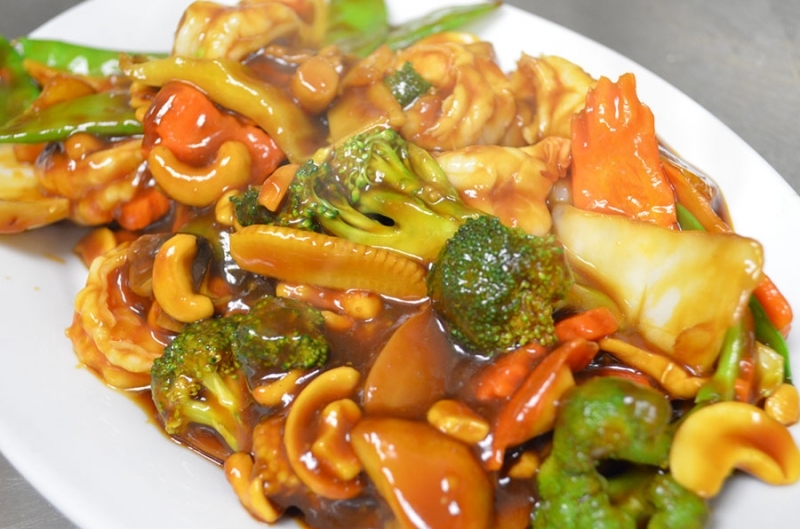 Stir-fried shrimp or chicken in light ginger sauce and sauteed with fresh broccoli, crisp snow peapods, straw mushrooms, baby corn, carrots, napa, water chestnuts and bamboo shoots in a classic brown sauce and topped with cashew nuts. 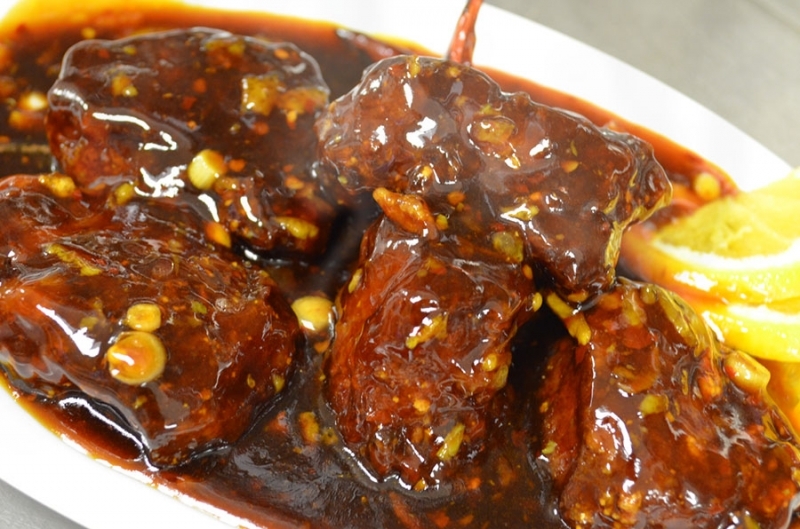 A delightful taste of chicken chunks, served in a rich brown sauce moderately spiced with dried, roasted hot red pepper. 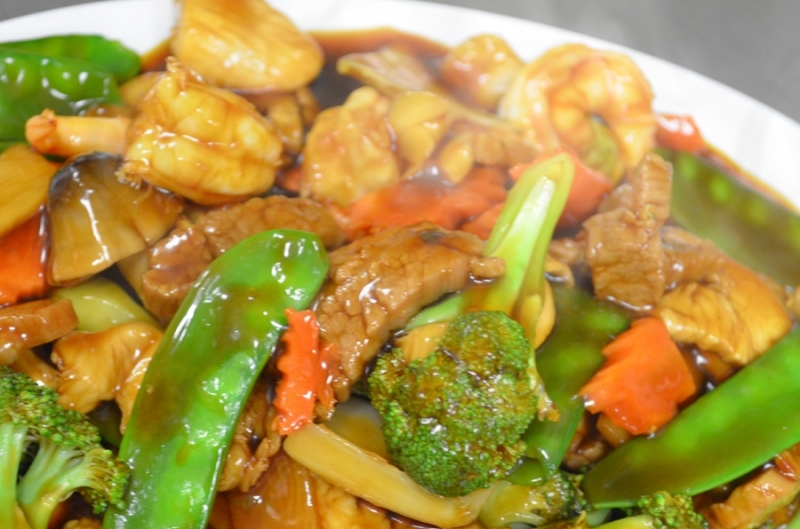 Shrimp, beef, chicken, mushrooms, water chestnuts, napa broccoli, snow peapods, carrots, bamboo shoots and baby corn, sauteed in a brown sauce. 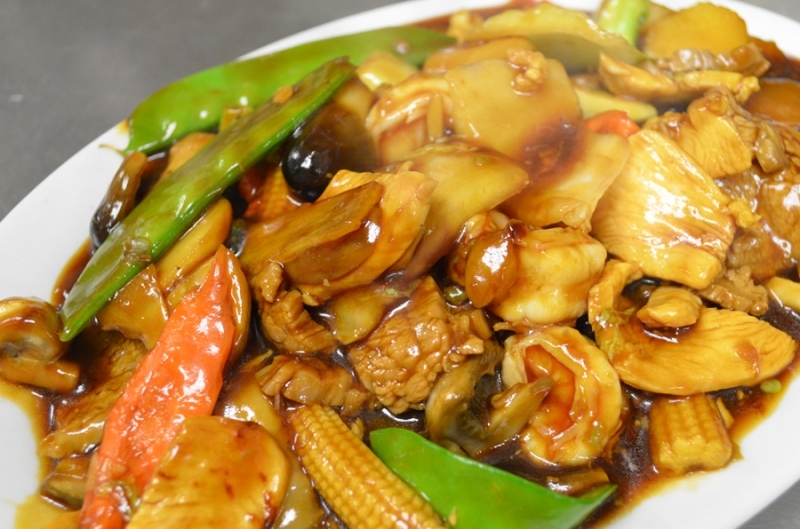 Shrimp, beef and chicken, fresh onion, green pepers, straw mushroom, baby corn, water chestnut, carrots and bamboo shoots in spicy szechuan sauce. 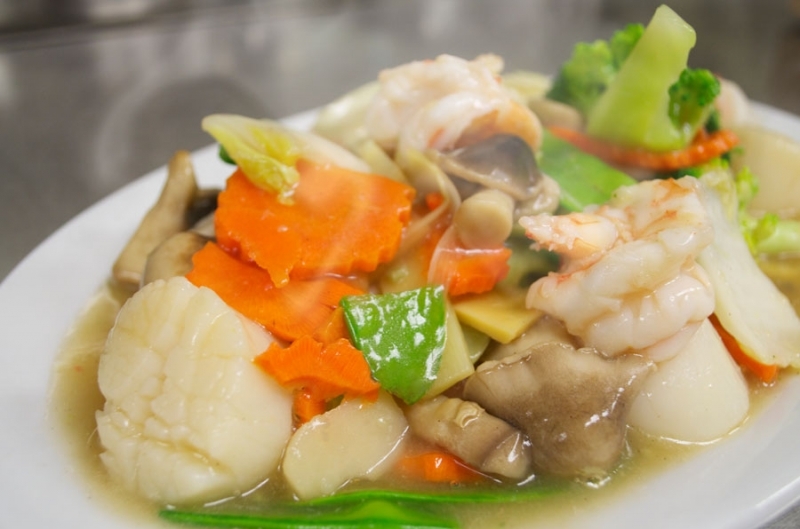 This memorable dish of shrimp and scallops sauteed with fresh snow peapods, straw mlB1o rooms, baby corn, napa, water chestnuts, bamboo shoots, carrots and broocoli in our chef's special white sauce over a hot plate. 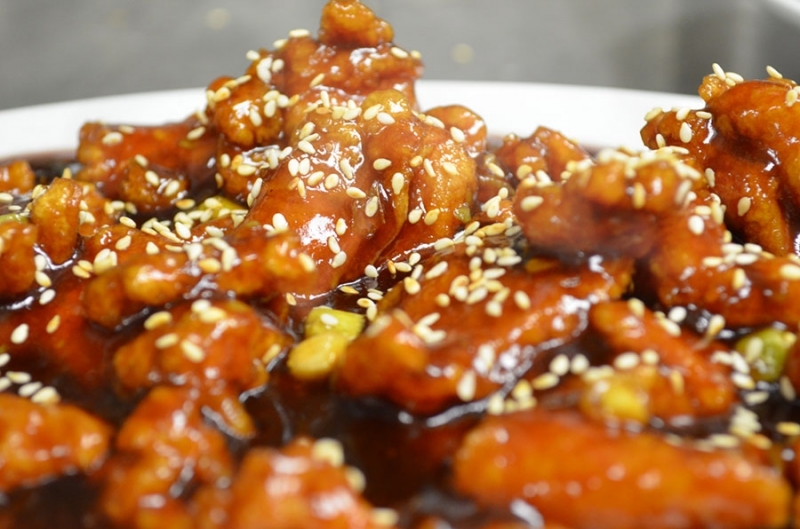 Stir-fried with light sesame oil in a specially selected flavor, topped with sesame seeds. 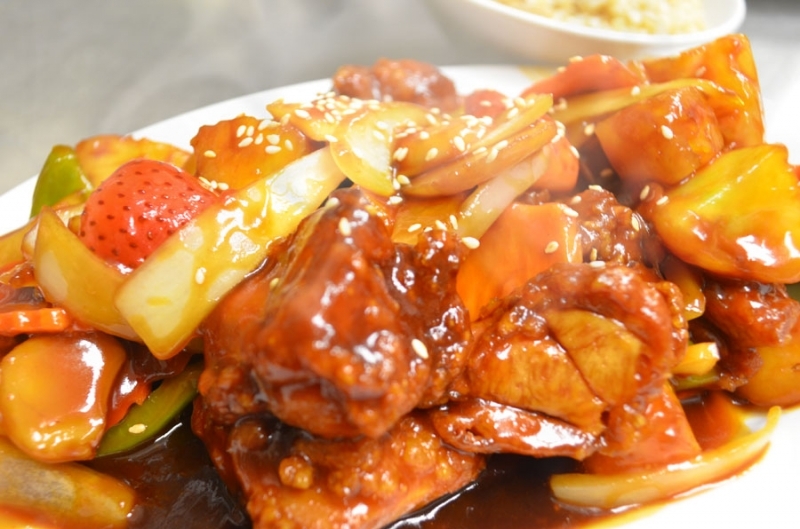 Chunks of boneless chicken enveloped in a blend 01 special ingredients with sweet and sour light brown sauce, stir-fried with green peppers, Spanish onions, carrots, water chestnuts, bamboo shoots, tomatoes and pineapple. 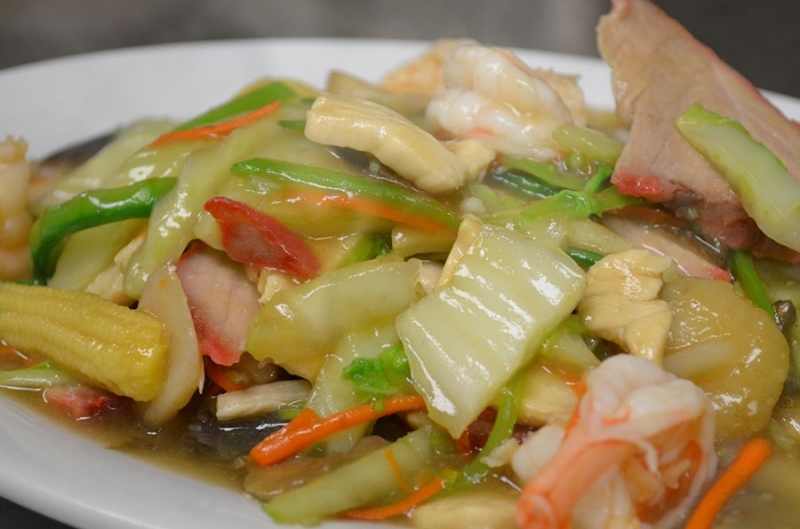 Shrimp, chicken, roast pork, with snow peapods, carrots, napa, straw mushrooms, bamboo shoots, water chestnuts, baby corn in blended white sauce. 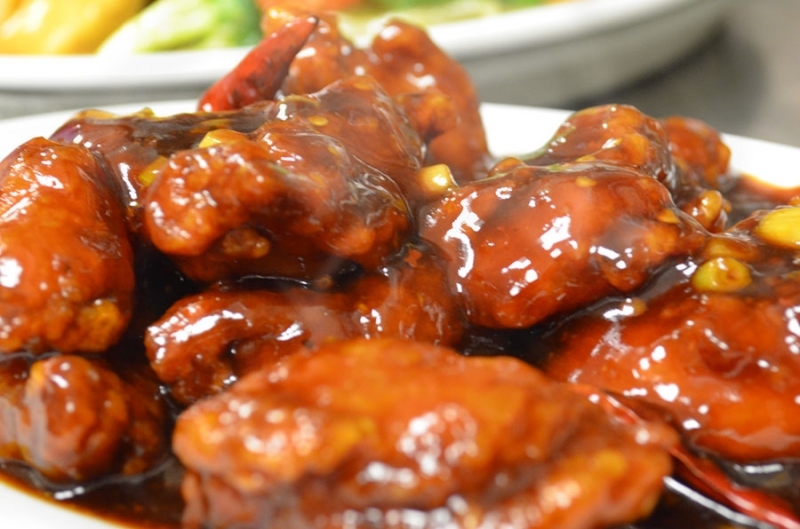 Thai cuisine & Chinese standards served in an exotic, Asian-themed dining room.